Now I do understand the complexity and necessity of the garden ecosystem. I do. But if I am being completely honest, a part of me was a little excited about the greenhouse possibly affording a somewhat more sanitized gardening experience. The type where ants don’t crawl up the back of your pant leg when you bend down to harvest the lettuce. The fantasy of being able to quickly run out to the garden and back again without both a spider and its web finding its way into my hair. Well, the honeymoon is over, thanks in large part to the arrival of a copious amount of aphids now firmly attached to my tomato plants. This was the first offender and was promptly ostracized in a well-intentioned but failed bid to save the others. My hope was that in making it available to some natural predators like ladybugs, it could be quickly “cured” and rejoin the fold. Unfortunately it was not to be, as within days the remaining plants also showed signs of aphids. 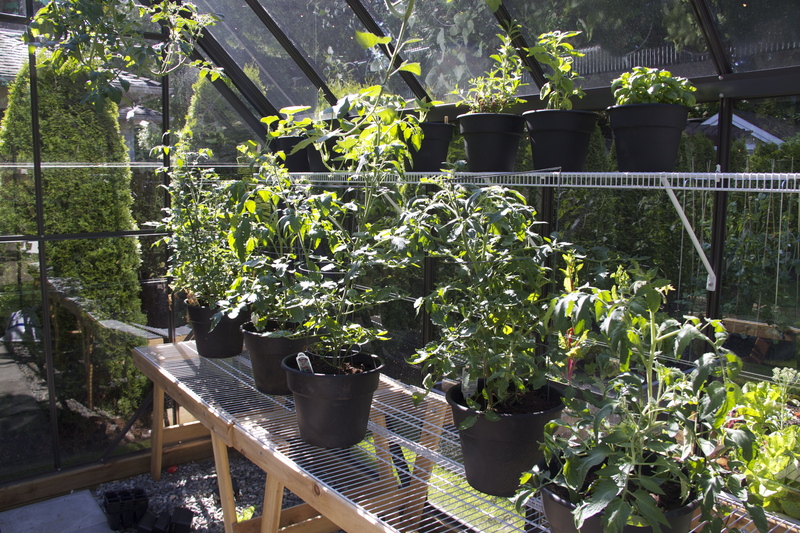 Honestly, it’s the mixed blessing of a greenhouse-no natural predators for the pests that do breach the barricade. You can purchase bags of ladybugs from many garden stores, which I will likely do. But again, no birds have access to the greenhouse to keep those numbers in check, so around we go. But for now let’s focus on the positive. I have stuck with some old favourites and added some interesting new grafted varieties and hybrids such as Green Zebra, Sun Sugar, Black Cherry, and Cherokee Purple, so it should be an interesting harvest when the time comes. 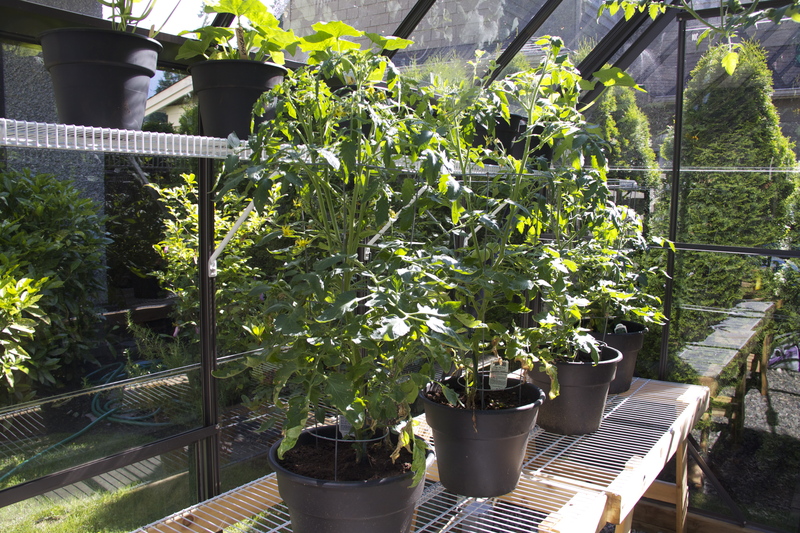 Another quirk of greenhouses is that even with self pollinating (no bees required) tomato plants, a fan is needed so the breeze can disperse the pollen and get the fruit sprouting. Simply taping the flowers lightly can work as well. 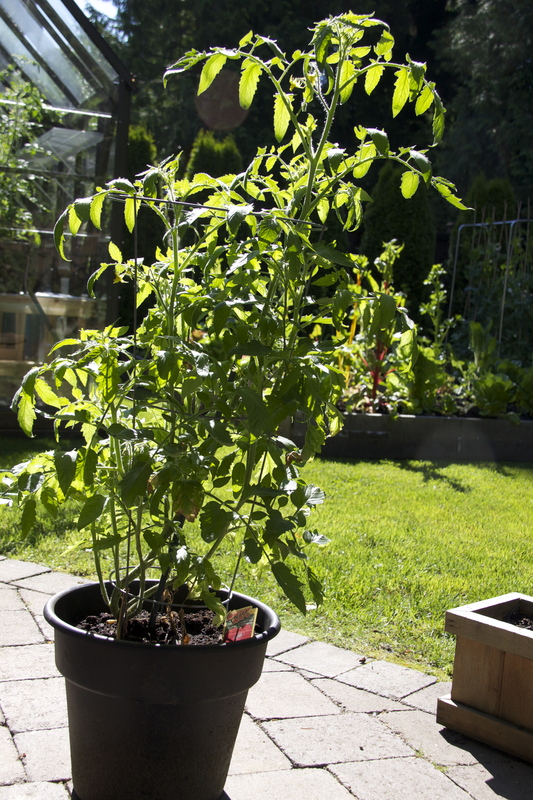 For more tomato growing tips, please click here. This entry was posted in gardening, greenhouse, greenhouses, organic, organic, organic farming, urban farming, Vancouver and tagged aphids, black cherry, cherokee purple, green zebra, greenhouse, greenhouses, sun sugar, tomatoes. Bookmark the permalink. What a plentiful garden you are growing! Large fruit already on your tomatoes – amazing! I have flowers on mine finally! ?